Residents of Altona and Altona Meadows can turn to Everlast Services for all of their fencing, concreting and landscaping needs. We are a family owned company that has been providing quality fencing, concreting and landscaping solutions to residents for over 20 years. You can trust us to provide you with an unmatched level of care and dedication to providing you with exactly what you want. We have our own steel fabrication plant meaning we can provide you with unbeatable value for money and a superior product for a far reduced price. We only source Australian made and owned products and materials because we believe in giving back to the community and supporting Australian jobs. We don’t believe that quality has to be expensive and we want everyone to be able to enjoy the services of our passionate team. Aluminium Slat Fencing: You’ll be amazed by the durability and style of this fencing option. 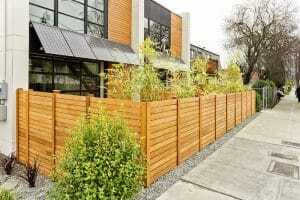 Steel Fencing: Steel fencing provides you with versatility and durability. Swimming Pool Fencing: We’ll ensure you end up with a compliant and beautiful swimming pool fence. Industrial Security Fencing: Our experience will provide you with the most secure option for your property. Colorbond Fencing: Colorbond can really transform your home and we know how to get the best out of it. Driveway Gates and Fences: We’ll provide you with an entry-point that will add to the value and the aesthetic of your home. Fencing Supplies: All made at our steel fabrication plant by our talented and dedicated teams. Aluminium Fence Panels: If you’re dreaming up your aluminium fence creation come past our factory to pick up your panels. Exposed Aggregate Concrete: Tough, durable and aesthetically pleasing – exposed aggregate ticks all the boxes. Painted Concrete: No-matter what you’ve dreamt up, we have the experience and expertise to deliver on your vision. Landscaping Design: We love turning backyards into living spaces and you wont beat us for value for money. Landscaping Installation: We can install and build everything you need on the way to your backyard creation. Landscape Supplies: If you’re committed to the DIY approach, visit Everlast for the best products and quality advice. Timber Decking: Tired of being jealous of your mates decking, get your own with Everlast Services. Pergolas: A pergola will allow you to enjoy your backyard in rail, hail or shine.